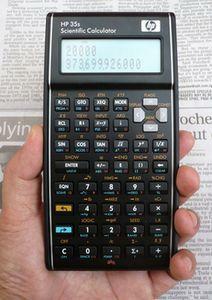 The new Hp calculators are not built to the older standards. But that is because they are sold for about half of the cost of the previous calculators (especially if you consider inflation). . As the Hp 35s is fairly large compared to the older Hp calculator line, I often use an Hp 48G for general calculator use. The Hp 48G often sells used, in good condition for about the same cost as a New Hp 35s. It is a better keyboard, not a whole lot bigger, and is a LOT more powerful. Just my opinion only.